You don't need a huge budget to show someone you care this holiday season and I have put together a selection of gift ideas for the women in your life all under $50. These are the types of gifts that would be perfect for a secret Santa at work, as little stocking stuffers or as an addition to any other gift. Now let us get into these 7 amazing products all under $50. These two products are fantastic cult classics and you can gift them at such an affordable price and in cute little travel sized bottle that would make any makeup obsessed girl smile. This is one of the best affordable gift sets I have seen this year because it allows you to gift high end makeup without breaking the bank and let's the person give the product a go. You could also include as part of the gift to buy them a full sized of whichever product they end up liking most out of the two. You can read more about this product here. Is the person you are buying for not that into makeup? Well shampoo and conditioner is something everyone (well I would hope most at least) use and therefore this is guaranteed to be a useful gift. 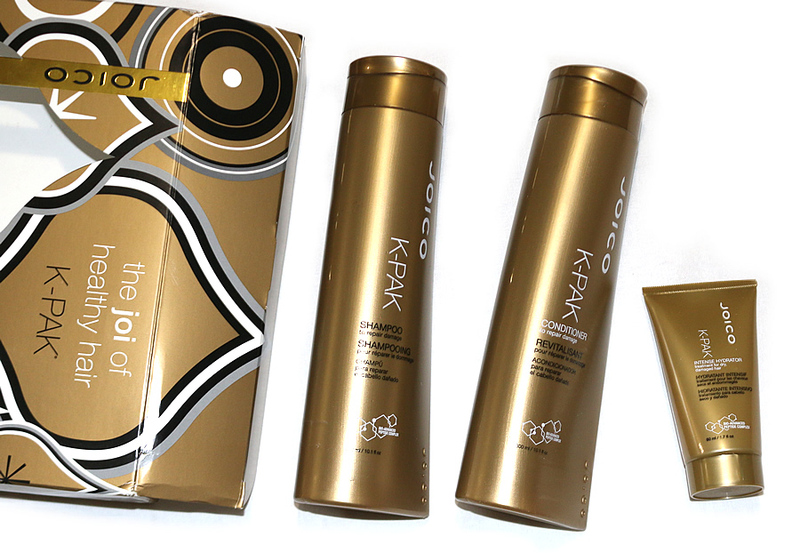 Joico are releasing a series of product duos this year that make for an affordable gift that you can personalize depending on the person; thick, curly, thin or flat? All issues that you can choose the perfect duo for. What is so great about these journals is that you can personalise them depending on who you are purchasing it for. Are they really into yoga or fitness? Or do they run a business? You can choose the perfect journal based on their needs and at an affordable price. This is something that they may not invest in themselves so things like this always make beautiful gifts. You can read more about this product here. This amazing duo of products is perfect for the person in your life who loves a bit of volume or experimenting with hair styles. 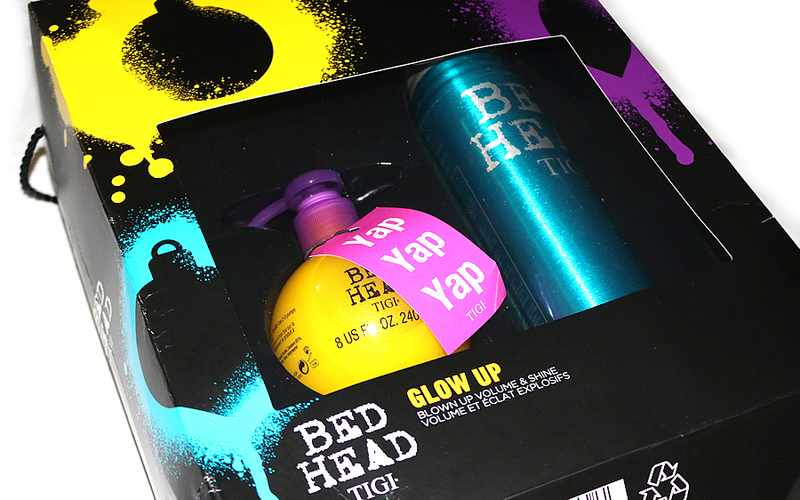 It contains a 240ml Motor Mouth product and a 340ml Masterpiece Hairspray. This is a great value set for such amazing quality products and an awesome combination to create volume and texture then set and hold with the hairspray. Candles are the perfect gift during the holiday season because they are a luxury item that perhaps that person doesn't treat themselves to. 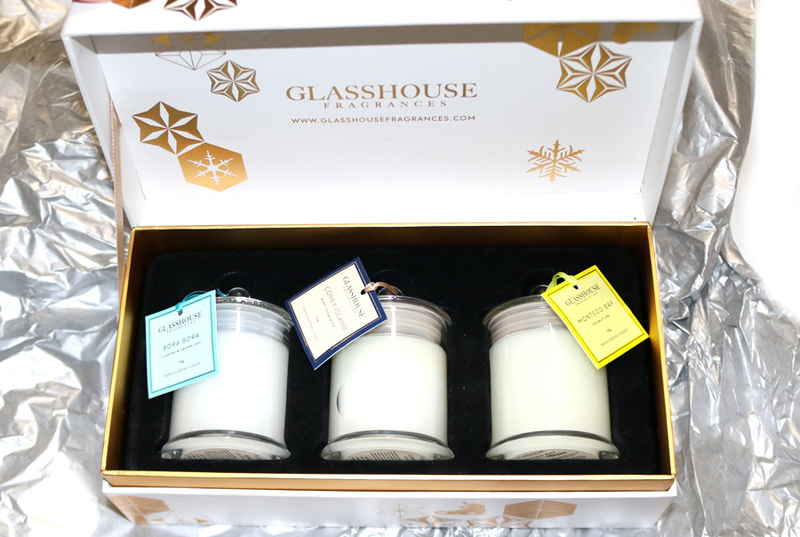 The set comes with three beautiful miniature candles based on destinations and are also some of the most popular scents from Glasshouse. 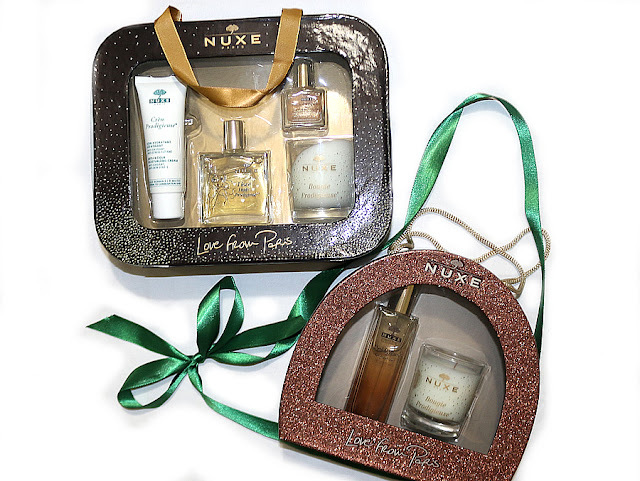 They have provided a good mix between sweet and fruity so that there is something for everyone and the person receiving it is bound to like at least one or more of the scents. Sort of a three is better than one scenario when you aren't familiar enough with the person to risk purchasing one of the full sized scents. You can purchase this product from here. 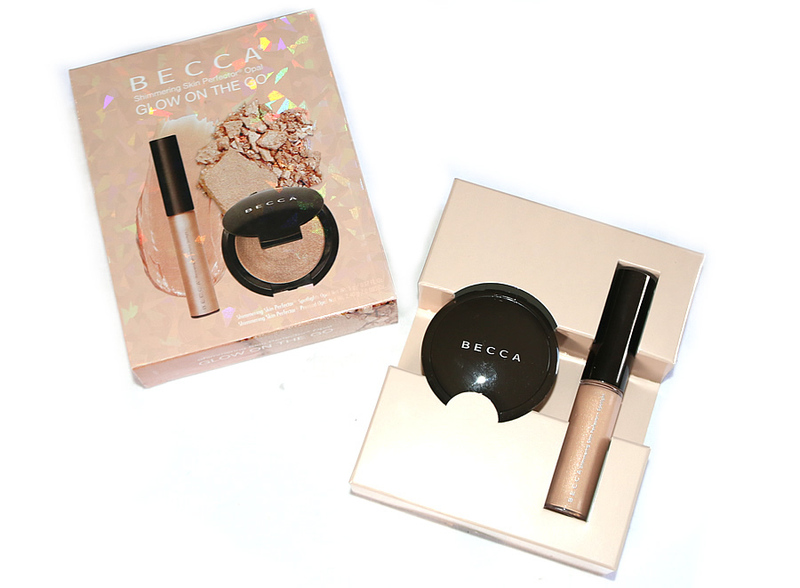 The Becca Glow on The Go contains mini sizes of two of their most popular highlighting products. The pack includes the unbeatable duo of their Shimmering Skin Perfecter cream highlight and powder highlight, both in the shade 'Opal'. 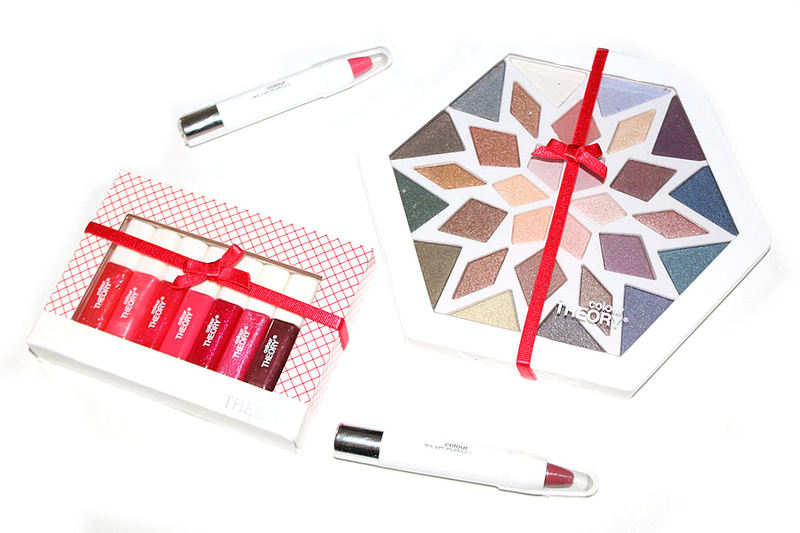 I definitely think this is a cute little kit for gifting in the holiday season because it is quite an affordable set and I think any girl who loves makeup will adore this. You can read my full review here. This is a go-to gift for those who love their skincare because it comes with the cult classic skincare dry oil, a moisturising cream and a mini dry oil and candle. This is incredible value for so many amazing skincare products so defintiely one of my favourites on offer this season. Who doesn't love luxury skincare packaged up as beautifully as this? You can read more about this product here and purchase it from here. Colour Theory have some incredible budget friendly options available this holiday season. The Snowflake Eye Shadow Palette retails for just $15 and includes a beautiful selection of shimmery shadows. For those who love lip products the Drop Dead Glamorous Lip Gloss Set is just $12 for 7 adorable mini lip glosses perfect for keeping in your handbag or traveling with. 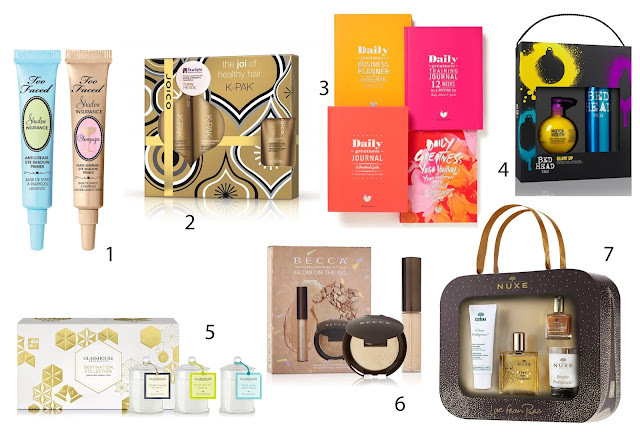 Those are my picks for gifts under $50 based on what is currently out there on the market. All of these are beautiful gifts that you can purchase depending on what the person is into whether that be stationary, hair care, makeup or skincare.